NEW YORK – Thursday, June 13, 2013 – Sony Music Entertainment today announced Pinball Rocks HD, a five-table pinball compilation game for iPhone, iPad and iPod touch is now available on the App Store. The app includes a free rock-themed table with featured music from guitarist Richie Kotzen, Chevelle, The Sword, Filter, Red, All That Remains, Hatebreed and Nonpoint, as well as premium music content from artists like AC/DC, Alice in Chains, Bullet for My Valentine and Slayer available via In-App Purchase. Pinball Rocks HD innovates on both discovery and a simplified purchase process of music featured in the game. For example, the game prominently features music that rotates on an ongoing basis, and allows players to seamlessly purchase those songs directly from iTunes without having to leave the app. These songs download in the background directly to the player’s iTunes library for permanent ownership. Sony Music previously released the best-selling and critically acclaimed titles AC/DC Pinball Rocks and Slayer Pinball Rocks which will now be offered as part of the overall Pinball Rocks HD compilation. Game add-ons such as multi-ball modes and extra ball packs will be offered as in-app purchases to enhance gameplay. Additional premium artist tables and featured music from Sony Music artists will be added over time. 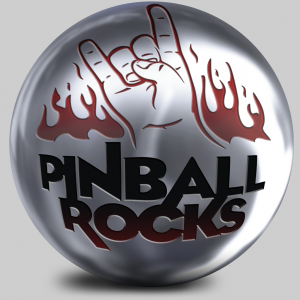 Pinball Rocks HD is a joint collaboration between by Sony Music and Gameprom, the studio behind the top selling iOS app Pinball Collection HD. The Pinball Rocks HD App is available for free from the App Store on iPhone, iPad and iPod touch or at www.AppStore.com/PinballRocksHD. Premium music content and game add-ons are available for $2.99 via In-App Purchase. For more information, please visit www.facebook.com/pinballrocks. Assets are available for download here. Sony Music Entertainment is a global recorded music company with a current roster that includes a broad array of both local artists and international superstars. The company boasts a vast catalog that comprises some of the most important recordings in history. It is home to premier record labels representing music from every genre, including Arista Nashville, Beach Street/Reunion Records, Bystorm Entertainment, Columbia Nashville, Columbia Records, Day 1, Epic Records, Essential Records, Kemosabe Records, Legacy Recordings, MASTERWORKS, Polo Grounds, RCA Inspiration, RCA Nashville, RCA Records, Sony Classical, Sony Music Latin, Star Time International, Syco Music, Vested in Culture and Volcano. Sony Music Entertainment is a wholly owned subsidiary of Sony Corporation of America.